We want it, and we want it now. As Americans, technological advances have made us a pretty impatient group as a whole – constantly seeking better, faster processes to improve wait time. These processes are most likely used to improve daily functions like: email, text message, video and music streaming. If these activities were ever delayed, we would become easily frustrated looking for a more advanced system of technology to replace the old one. Based off this approach, why should waiting for a doctor or care physician be any different? Even though waiting may simply be unavoidable, improved systems should be set in place to decrease doctor patient miscommunication and wait time therefore leading to increased patient satisfaction. The wait times in a patient’s journey through the hospital can be messy. Despite many hospitals’ best efforts, the amount of time spent waiting can be overwhelming. A study conducted by a research team of The Advisory Board Company found that patients go through an average of 24 hand-offs during an inpatient stay. When it comes to patient satisfaction, retention and malpractice, these consistent hand-offs are part of an inefficient, outdated system that needs to be altered. Luckily, there are now alternative technological initiatives available to help care physician’s leverage beneficial practice workflows to minimize patient wait time. 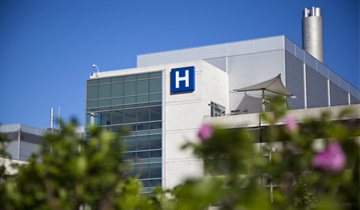 The first example is Real-time locating systems (RTLS) which are communication systems that automatically track the location of patients, physicians, and staff as they move about the clinic. The collected data can then be utilized to identify certain trouble areas, or bottlenecks, to help ensure correct, precise adjustments to staff workflow. Furthermore, the Health information Exchange (HIE) can also capture critical data of a patient before they arrive for their visit. This exchange captures useful data for physicians to have a clear, composed record of their patient, in turn minimizing duplicate testing. Healthcare consumers have high expectations when it comes to their physician and hospital staff. For the amount of time and money spent, it is understandable that patients would want quality service in a timely manner. The presence of these new and innovative systems, including technological healthcare exchanges and workflow communication systems, will help meet these expectations – making this an exciting time for healthcare.